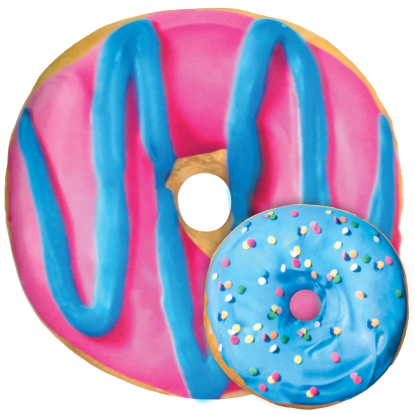 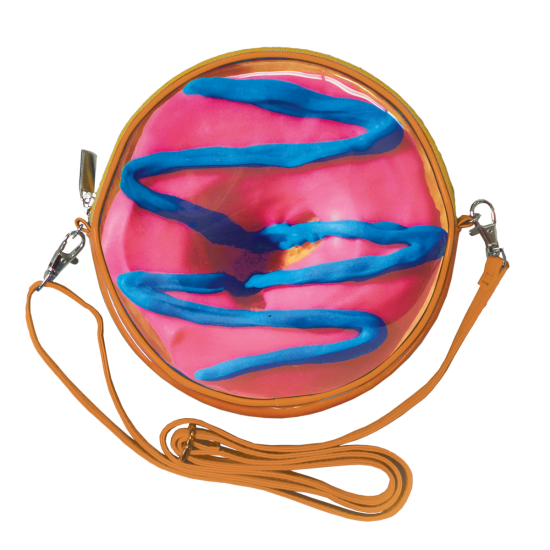 Our blue and pink donut purse has so many fun features. 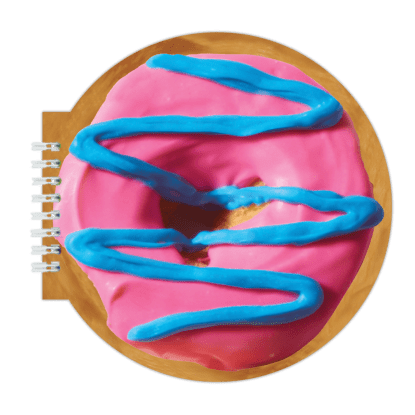 It's shaped like a donut, has different front and back designs, and includes a removable and adjustable shoulder strap. 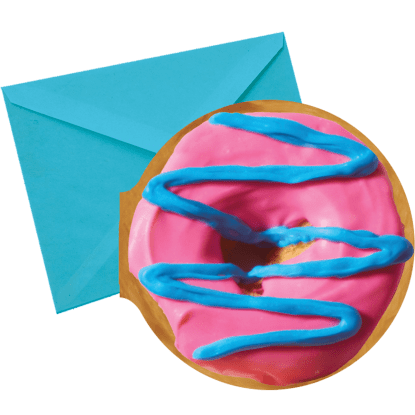 This sweet bag is the perfect addition to any adventure with friends!